Radiology has experienced tumultuous change during the last two decades. Major technological changes in image acquisition, processing, manipulation and transmission have revolutionized our ability to deliver more targeted and timely medical care. 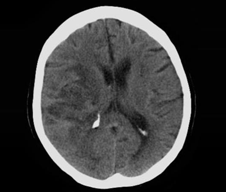 Consider the following from a patient's perspective: a timely MRA exam today can detect a small aneurysm in the brain and prevent a hemorrhage; a CT of the chest can spot pulmonary embolism and save a life; a PET scan can track the movement of cancer cells in the body. These and many other compelling developments in radiology continue to improve the diagnostic and detection capabilities of physicians around the world. All these achievements have also created major paradigm shifts in the field of radiology. Widespread availability of broadband connectivity and strides and standardization in digital imaging gave rise to a megatrend: Teleradiology. Nowadays, a CT scan carried out in the middle of the night in a small rural town in midwest America can be read and interpreted thousands of miles away by a radiologist who delivers a timely report, all within a few minutes! However, all this progress has not been without a price. With changing healthcare regulations, a radiologist is as much measured in terms of productivity as the quality of their reads. Many practices directly link compensation to the volume and type of studies read, almost creating a "radiology factory" like model in the process. In our perspective, what should never be compromised is the quality of patient care. Behind every black and white x-ray, we see a patient with a colorful personality. 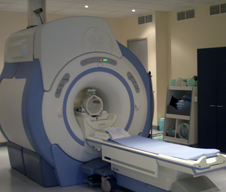 A CT scan is way more than a set of images to us. It belongs to a real person who deserves and demands the best analysis and interpretation of their health exam. With this philosophy, we devote the time and energy needed to compare and report on that exam. We pride in the timeliness and quality of our interpretations. Whether you are an urgent care center or a specialty physician practice, a hospital or an imaging center, a radiology group or a telerad company, we will serve your needs with passion and pride.